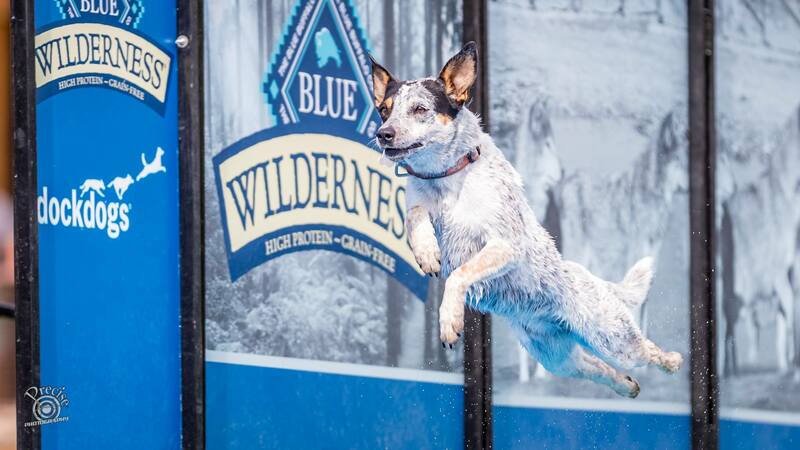 DockDogs® is excited to announce that Blue Buffalo is searching for Team Ambassadors exclusively through DockDogs®! Blue Buffalo is looking to sponsor up to ten (10) DockDogs® teams for the 2018 DockDogs® season! Act quickly as submissions will only be accepted until Thursday, January 25th @ 11:59pm EST. At the close of submissions, DockDogs® will review the applications, confirm the content is accurate and submit them to Blue Buffalo marketing team for final selection. Selected teams will be notified and announced by email in early February 2018! Teams will be required to submit photos to DockDogs® Worldwide & Blue Buffalo of events that are attended. Teams will be required to post photos via their own team social media pages and on the DockDogs® Facebook page of the events that they attend. Teams will be required to wear Blue Buffalo t-shirts and include the Blue Buffalo logo on their dogs vest while participating at DockDogs® events. Teams will be required to give a testimonial to Blue Buffalo twice throughout the 2018 season. Teams will be encouraged to promote Blue Buffalo products & DockDogs® events via online media to the best of their ability. Team Facebook Pages, Team Twitter accounts, Team Instagram accounts, etc. Must be an Active DockDogs® Worldwide Member with the Team you’re applying for. Applicants must attach a photo of themselves & their teammates using the application below. Applicants must submit a 500-800 word essay to Blue Buffalo including why and how their team would be outstanding ambassadors. Teams must be in good standing with DockDogs® Worldwide. Applicants must already feed Blue Buffalo food or be willing to switch exclusively. Thank you for your interest in becoming a Blue Buffalo Ambassador. Applications are not being accepted at this time.